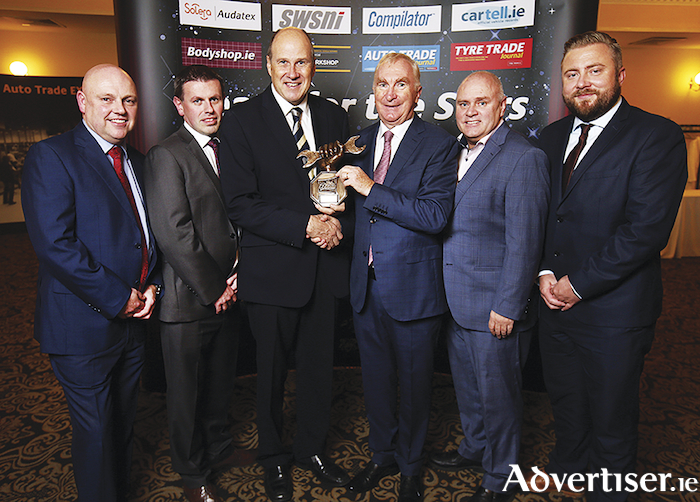 Tony Burke Motors, main Toyota and Lexus dealer in Ballybrit, Galway, is the winner of the Aftersales Main Dealer of the Year in the Connacht/Ulster Regional Auto Trade Awards 2019 which took place last Saturday night in the Citywest Hotel, Dublin. Celebrating were Glenn O'Reilly, Aftersales Commercial Manager Toyota Ireland; Pat Masterson, Aftersales Toyota Ireland; Ivan Yates; Tony Burke, director Tony Burke Motors; Derek Cahill, Aftersales Toyota Ireland, and Michael Oporowicz, Aftersales Toyota Ireland. Citroen Ireland has joined forces with Road Safety Ireland to support its new ‘Driving for Work’ Safe Driving Experience which is now being offered at its new purpose built road safety experience centre in Co Monaghan. Citroen tells us it will provide Road Safety Ireland with a new C3 Aircross and a C3, which will be used in the new training experience programme. The ‘Driving for Work’ Safe Driving Experience aims to build knowledge and awareness to the five causes of collision fatalities and serious injuries; speeding, drink/drug driving, distraction, seat-belts and driving tried. Citroen says the training will take place in the world class training suite and drivers experience winter driving/skid control /skid pan experience on its purpose built track using the latest in immersive learning techniques, equipment and technology. Carried out in a safe and controlled environment, the Citroen vehicles will be used to demonstrate correct steering and seating position, enhanced driving skills covering the latest safety features available and learn about vehicle dynamics. Training will be targeted at driving for work, new to the road younger drivers, professional drivers, transition year students, as well as post-accident and remedial driving courses. Speaking about the new safety experience, Pat Ryan, managing director of Citroen Ireland, said the company was delighted to support this dynamic, new driving initiative by providing Road Safety Ireland with the new Citroën C3 Aircross and a Citroën C3 which will be used throughout the safe driving experience. For more information log onto www.citroen.ie or to book “Driving for Work” Safe Driving Experience, contact Road Safety Ireland 047-89098 or email [email protected].